Losing a family member is a gut-wrenching, traumatic event that far too many people have to struggle with in and around Miami. The pain of the loss is especially visceral when the loss was caused by the careless or reckless actions of another individual. A prime example is the heartbreaking auto accident that occurred in Margate. The driver of a vehicle was pursued by Coconut Creek Police when he failed to stop when police attempted to pull him over. The driver suddenly accelerated, made an improper U-turn, and left at a high rate of speed. If that was not bad enough, the driver was not the only occupant in the vehicle. There was an 18-year-old girl sitting in the passenger side of the vehicle. Shortly after the driver evaded police, he lost control of his vehicle and was hit by an oncoming car. The 18-year-old passenger lost her life in the collision, and the driver of the oncoming car suffered serious injuries, according to CBS Miami. The reckless driver is likely to face multiple criminal charges. Deepest sympathies go out to the friends and family of the 18-year-old passenger who lost her life in this awful accident. It is infuriating to think that if only the reckless driver had simply stopped and not attempted to flee the police, maybe this young girl would still be with us. In Florida, a wrongful death occurs when someone loses their life due to the careless, reckless, or intentional actions of another individual, company, or product. In the context of a fatal car accident, a wrongful death has occurred when a wreck was the proximate result of a driver’s negligent or reckless actions. In the context of a fatal car accident, the claim is oftentimes filed with the negligent driver’s auto insurance company. This is necessary because the insurance company will provide the source of any recoverable funds. When a family member is killed due to the reckless actions of a driver, our firm will stand up and fight to hold the negligent motorist accountable. When the reckless driver’s auto insurance company is reluctant to pay a legitimate wrongful death claim, we will use all of our resources to build a compelling and persuasive case that has the best chance of succeeding in a Miami courtroom. 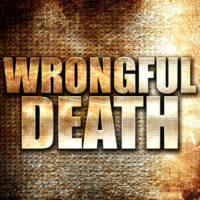 Contact the Miami wrongful death lawyers at the office of Alan Goldfarb, P.A. today to schedule a free consultation.